binathi is using Smore newsletters to spread the word online. Malala Yousafzai demanded for the rights of the girls to study further education. 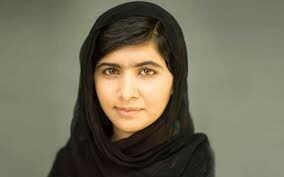 Malala Yousafzai was born in July 12 1997 in Mingora, Pakistan located in the Swat valley. it was a famous place for tours for the first few years until the Taliban tried to take control. 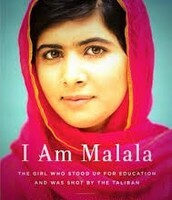 Malala went to a all girls school her father Zaiuddin Yousafzai found. Taliban targeted girls schools and banned the rights for further education for girls. Malala refused to follow the rules of Taliban. 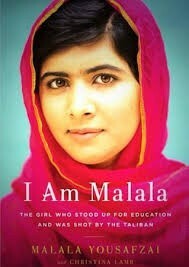 in 2008 she gave a speech "how dare the Taliban take away my basic right to education" in Peshawar, Pakistan. she even blogged in 2009 for BBC under the name Gul Makai but it only lasted until December of that year till everyone found out who it was. later in 2011 she won a children's peace price and later that year she also received the Pakistan national youth's peace prize. as she continued to stand up for the women having the rights to education she was getting close to death threats because she was going against the rules of the Taliban's. she got death threats almost everyday in the mail warning her to back off before she gets terribly hurt. on Facebook her account was hacked and there were fake ID's under her name. she courageously continued her speeches and never listened because she and her family thought the Taliban's wouldn't actually hurt a child. few days later on a normal school day a man boarded a bus Malala was riding on the 9th of October 2012. he demanded to know which girl was Malala but it was a easy give away because her friends looked at her. the Taliban gunman shot Malala on the left left of her head but she was lucky it didn't hit her skull, instead it went down her neck. 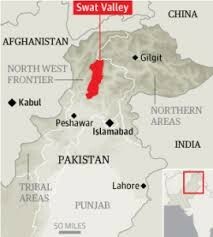 two other girls were also injured, she was immediately flown to a hospital in Peshawar where they had to remove a portion of her skull to treat brain swelling. she still didn't recover so they transferred her to Birmingham, England to receive further care. when she was in united kingdom, the doctors medically put her into a coma to do several surgeries and there was no brain damage. after she was fully recovered and healed in 2013 she continued to go to school in Birmingham, England and gave a speech on her 16th birthday that inspired and motivated a lot of people. she gained trustworthy respectful honesty. A hero is someone who fights strong and confident for their self or others through the hard times and Malala wanted to be a doctor before but later after the shooting she realized her country needs her help so she is hoping to go back to her country and be a prime minister of Pakistan. her speeches inspired and motivated so many people in United Kingdom that they wished she was their prime minister. where Malala was born and raised, but now she is safe in england for her protection. in boys school they greet her poster.